The LIMSforum, a user group of the Laboratory Informatics Institute is pleased to announce a new Linkedin.com Group (www.LIMSforum.com), which provides posts and links to free downloads of laboratory, scientific and health informatics software. If you can believe the advertisement, every vendor is a world, market, industry or some other "Leader"
Today, while surfing the web, I ran across dozens of companies that claim to be the world's leader at one thing or another. It looks like all those creative marketing folks all went to the same world leading marketing school. A funny video came to mind as I was reading about all these leaders. “It’s not what you know, it’s who you know.” The adage still holds true and in a tight economy with jobs at a premium it can be a critical issue for those outside the inner circle. But just like so many other issues in various industries, it’s technology to the rescue; this is especially true in the laboratory, scientific and technical professions. 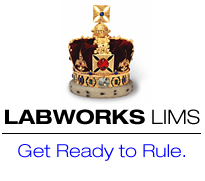 Labtronics Inc., a world leader in laboratory data integration and management solutions is pleased to announce the latest addition to Nexxis iLAB, the integrated laboratory solution where instruments, systems and people are able to automatically share and access information, as they need it. 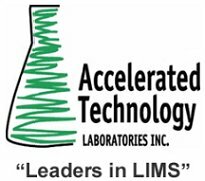 New LIMS/LIS distributors are required throughout the world for Autoscribe’s successful Matrix Gemini LIMS, Scientific and Business software solutions. Atlanta, GA - August 11, 2009 -- The LIMSforum, a user group of the Laboratory Informatics Institute is pleased to announce a new Linkedin.com Group (www.LIMSforum.com), which provides posts and links to free downloads of laboratory, scientific and health informatics software. The University Hospitals Case Medical Center has selected STEMSOFT Software's industry leading clinical and laboratory blood and marrow transplant (BMT) software to track, analyze and integrate the program's patient and product information. LabVantage today announced that it has completed the acquisition of Life Technologies Corporation’s SQL*LIMS business, uniting the premier thin-client LIMS with a significant global footprint of experienced LIMS professionals. Image Solutions Inc. (ISI), a leading provider of electronic submissions management and publishing solutions for the life sciences industry, has unveiled a prestigious line-up of speakers for its annual eSolutions Conference in Barcelona, Spain, this September to support an agenda aimed at reinventing the regulatory function. Simulations Plus, Inc. (NASDAQ: SLP), a leading provider of software for pharmaceutical discovery and development, today announced that it has received a purchase order from the U.S. Food and Drug Administration to expand the number of licenses for the Company’s GastroPlus™ simulation software. The 5th Forum on Laboratory Informatics will bring together informatics professionals to discuss case studies and best practices in overcoming data management challenges with storage, organization, consolidation and integration. Key topics to be addressed include: ELN deployment & LIMS system integration, legal & regulatory compliance strategies and emerging technologies & their impact on the lab informatics. The American Association for Clinical Chemistry announces the third in its series of Laboratory Automation conferences to be held in Asia. This conference, being held in Kuala Lumpur, Malaysia on October 22-23, will address Laboratory Automation: Integrating Quality with Efficiency.